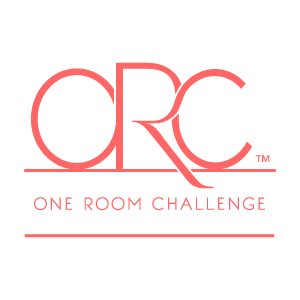 Having the opportunity to participate in the One Room Challenge is a dream come true for me! I have followed along on past challenges and love to see the rooms transpire. 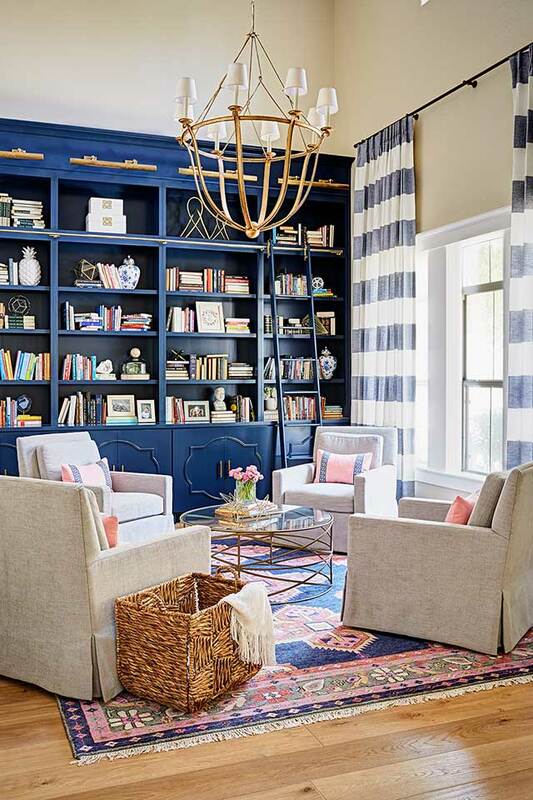 Being an interior designer, and designing rooms for my clients everyday is definitely rewarding, I get so wrapped up in my client’s homes that my home usually takes a back seat. I designed my current home that I am living in about 9 years ago, I was only a few years fresh out of design school, so let’s just say my tastes have changed just a bit. There were so many things I wanted to redo, new products came out and well, I just have so much more experience under my belt. If you are new to the one room challenge, welcome! 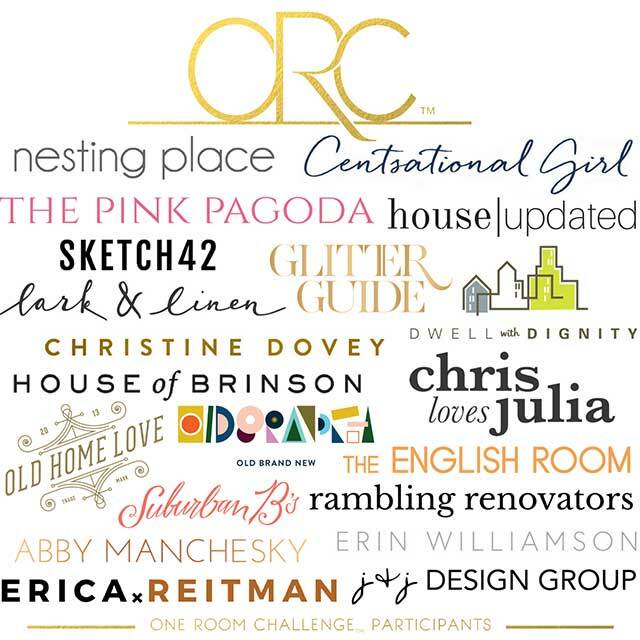 The One Room Challenge is a bi-yearly event where 20 designers and bloggers participate in a challenge to transform a room in their home. It is so much fun to see the progress of each room during the 6 week time frame. My husband and I had a tough decision, build a new house, buy an existing home and remodel or remodel our existing home?? 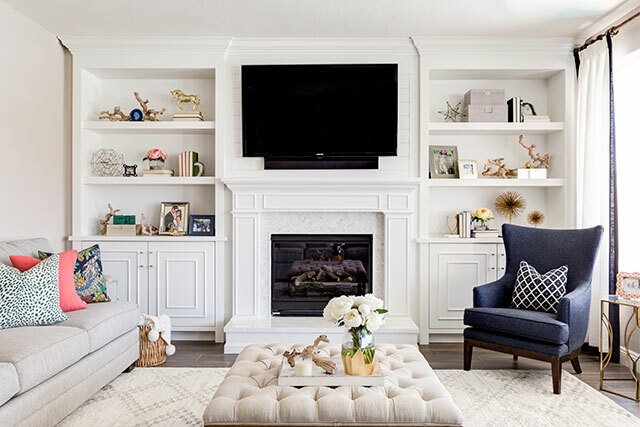 My husband refused to remodel a home we have already remodeled, building a new home had too many restrictions on what was available to choose from so we naturally took the toughest choice; buy an existing home and remodel it completely. We found this beautifully dated (like the 90’s called and wanted their house back) property that had a great lot for my kids and a 4 car garage for all of our junk!! The floor plan works great for our family and we don’t have any wasted space like we do in our current home. Needless to say, the One Room Challenge couldn’t have come at a more perfect time for me! I have decided to transform my living/ dining room for the challenge this season. I am so tired of my existing dining furniture, it was a wedding present and let’s just say we are celebrating our 10 year anniversary this year. The great thing about our new Living / Dining space is that it gets great natural light during the day. So here she is, in all her glory and it hasn’t been touched a bit since about 1992 that is! Let’s have a little chat about all her problems shall we? Rounded Columns: These columns are huge and block your view into the space. They have a undesirable 2″ moulding as does the rest of the room and a rather unattractive wall texture. So see ya later!!! 12″ Square Tile: I almost always steer clear of 12″ square tiles. I just feel that not only to they date the space, but they give a busy grid pattern that I don’t really care for. Eyeball Can light: This seems to be the only light available in this room at the moment, it gives a dark alley sort of feel at night that can be a little scary. You can point it anywhere you please, haha! Short French Doors: I don’t mind the look of these doors, but they are very short and make the room feel squatty. I may be able to re-purpose them in another area in the house with lower ceilings. 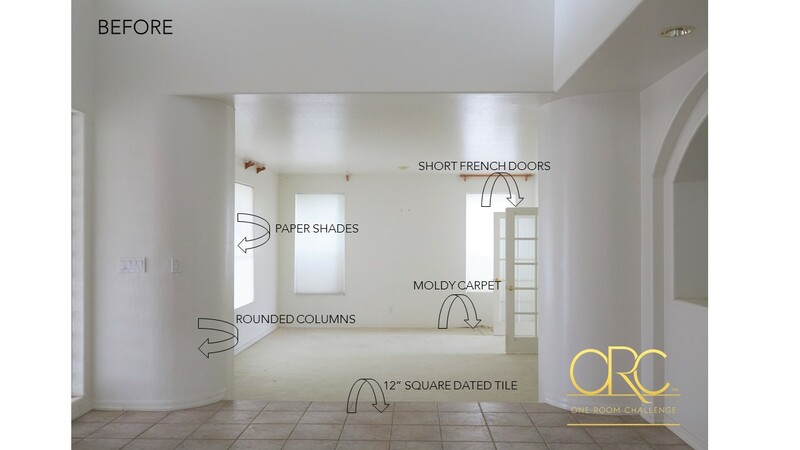 Moldy Carpet: Water damage is apparent in the corner of the room. We think the washer may have leaked in a couple rooms over and pooled in the corner of this room. Needless to say, the carpet is history! OK, now that your eyes are sore, let’s get to the pretty stuff shall we? I love interior design so much, I live and breathe it everyday. There is inspiration in nature, in experiences and in the people around us. I love to research design trends and get ideas from everywhere. Light and Bright interiors with a pop of color really make my heart sing and that is what I intend to achieve in my One Room Challenge this season. Here are a couple of rooms that I have designed for clients that I particularly love and would like to achieve the same feel in my own home. This room is so bright and happy! The coral, emerald green and navy are a few of my favorite colors. A touch of gold is almost always a must for me as well. this is my love language! Make sure to stay tuned as my room makes it’s way into the 20th century. I expect hiccups along the way because no good design doesn’t have them. Tune in next Wednesday to see some demo and plans of what I come up with. Make sure to check out my fellow participants rooms as well (listed below). ooooh navy builtins would be fantastic! can’t wait to see it! You’ll just have to see what I come up with wink wink!! I like how you grouped all the colors together. I also think it is hard to see the potential of the colors from the typical stockist color chart. The way you grouped them opens up the potibiilssies.. great job! Nice space – LOVE the rounded architecture! Can’t wait to see what you do. Right?! What were they thinking??? Beautiful inspiration! I can’t wait to see the finished space! The 90’s in architecture and home building was such a great time!!!! Just kidding, but we live in a 90’s home too. Thanks you so much! Totally 90’s Right?! It is really bad in the entire house!! I promise the rounded corners are gone! This is so exciting! and you crack me up! looking forward to seeing you bring new life into this space! Thanks Alma! Been checking in on your space, looking good! Love the plan. One day, the 90’s will come back…hopefully not soon. Your work is amazing! Thanks Linda! This 90’s architecture is pretty scary! !